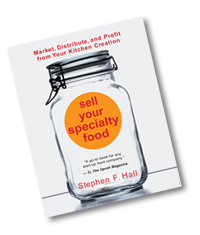 "The go-to book for any start up food company." Thousands of specialty food entreprenuers rely on Food Entrepreneur Magazine for success! Consulting and business development service includes: Advertising, Promotion, Coaching, Catalog Sales, Legal, Liability Insurance, Women and Minority, UPC, Quality Issues, Nutritional Analysis. Accountfully is an outsourced accounting and bookkeeping team that focuses on working with CPG clients and food entrepreneurs. Our team reviews and discusses their inventory and financials on a regular basis so they know when it’s time to fulfill orders, test new sales channels, and restock inventory. We standardize SKUs, report on cash flow, assist in the collections process, and account for MCBs, trade discounts and other fees discounted from retailer and distributor relationships. Primary Focus: As Founder and CEO of A La Carte Connections, LLC, Rachel travels throughout the U.S. working with both large and small startup companies. She assists them with their food science and R&D. Rachel is a member of the Institute of Food Technologists and the Restaurant Chefs Association. Rachel knows specialty food processing (making, producing, manufacturing)! And she is a proud Sponsor of Food Entrepreneur Magazine. Primary Focus: Arich is one of the country’s leading strategy organizations focusing on direct-to-consumer marketing programs and business model development for mid-sized businesses. Primary Focus: Baking Fix has thirty years of experience in home and commercial baking, and operating home-based businesses and retail store fronts. Our advice is built upon experience and basic business principles. We have an excellent understanding of the type of baking you do and can suggest many ways to ease your schedule while increasing your profit. Primary focus: Brand. Package. Develop. Bang Pound Dot is an all-inclusive brand, design and development agency specializing in companies who produce specialty foods and beverages. Primary Focus: Bayview Consulting Group is The Outsourced Operations Experts. From kitchen to commercialization and beyond, we have over 20+ years building successful business strategies using Contract Manufacturers and Third Party Logistics providers. Our areas of expertise include Manufacturing, Supply Chain, Logistics, Quality, Regulatory Compliance and Certifications with an entrepreneurial spirited client base from start-ups through early stage companies. Primary Focus: Serving specialty food and beverage marketers with analysis, advice, planning and execution. Deb Mazzaferro (aka Coach Maz) is the go-to-sales and marketing strategist in the specialty food industry. With her single-minded attention to revenue growth, she has consulted with over 160 companies on all facets of building and sustaining highly profitable specialty food products. Backed by a successful career as a National Sales manager, she expertly guides companies in establishing a results-oriented sales process that meets or exceeds industry standards. Using Deb’s unique team building approach, her clients can implement an ideal strategy that delivers all the desired financials with an action plan specifically designed for their product and resources. Coach Maz has been a featured speaker at many major specialty food events including the Specialty Food Association’s Fancy Food Shows, The Vermont Specialty Food Association, The Virginia Department of Ag Specialty Food Summit and New Zealand Trade and Enterprise conferences. Her latest book, “Have the Most Successful Tradeshow Ever” is an industry bible and available at Growing Your Specialty Food Business. She plays the links with a 22 handicap, with many enjoying her contributions at the 19th hole. Purely for fun she is both a Sommelier and an accomplished cook. You can reach Coach Maz at Deb@CoachMaz.com or 941-359-8599 for a free one-hour consultation or go to www.CoachMaz.co to learn more. Primary Focus: Cost effective guidance that will generate new business and manage established customer bases. Our marketing knowledge and credibility, and our broker and distributor relationships, are a invaluable asset. Primary Focus: Online costing program designed for start-up food entrepreneurs.This company provides food processors, beverage makers, restaurnat operators and caterers with valuable insight into all their product costs to help them make better business decisions. Primary focus: Food Methods helps food entrepreneurs to overcome the complexity of cost management solutions, regulatory compliance services, training and other business resources. Primary Focus: Good Egg Marketing helps good businesses grow. We provide business and marketing services for small and mid-sized start-ups, farms, and food entrepreneurs. We specialize in business coaching, market research, branding, strategy, and online marketing. Primary Focus: Graley Marketing covers the entire retail markets for over 35 years. Our primary focus is building standing business and relationships. They cover the Hawaiian marketplace. Primary Focus: A full-service product development company, providing comprehensive or selected services to start up food manufacturers. Over 24 years of experience in food product development, scale-up and production start-ups. Full service marketing and strategic planning nationwide. Primary Focus: We have a proven process for growing companies from any stage. We analyze your company, quickly determine the viability of your products, and work with you to achieve success. Save time, money and access industry expertise. Primary Focus: Offers brand development and marketing and has revitalized numerous Fortune 500 brands. Services offered include brand positioning and distribution, channel management, licensing, marketing planning and staffing and new product development. Primary Focus: We advise specialty food retailers, independent grocer stores, farm markets, and butcher shops grow profitably through improved merchandising strategy, new products and general retail and operations consulting. Primary Focus: Bringing natural, organic and specialty to market across most categories and all classes of trade. Please see: www.naturalconsulting.com. Also, put on sales, financing and operations seminars and networking events. Publish the Natural Products Field Manual and Sales Manager’s Handbook. Primary focus: Designing strategies, systems, and programs to help companies deliver predictable revenue. Our work is supported by pricing research, trade promotion analysis and optimization, and general business measurement. We use scanner data our clients provide from Nielsen/IRI/SPINS and also conduct custom survey research to provide consumer-driven insights. Tim Sullivan of Sage Food Group has 20 years experience running a FDA-inspected specialty food manufacturing plant. He works with startups, emerging and established companies. • Goals Assessment: What do you want to achieve? Is your concept viable? • Cost of Goods Sold (COGS): The foundation for a profitable business. • Production: Methods and efficiencies. • Increasing Sales: Where, how and at what cost? • Industry Advisor: We act as your navigator, answer your questions and provide experience-based guidance. • e-Books & Quick Reference Guides . • Cost & Pricing Tools. • Webinars and On Demand Online Classes. Primary Focus: We make food brands look BIG on the web and appealing to retailers. Our team specializes in online content creation and marketing — think blogging, email marketing, social media and food blogger / media outreach. Primary Focus: The Food Startups will focus on launching your brand from start to finish and offers all the services needed to develop your brand. From sourcing the right co-packer, ingredients, packaging, to creating a website, and developing a brand strategy, we have all the tools and knowledge to create a successful brand. The Food Startups can also walk you through selling to retailers. The Food Startups has 20+ years’ experience in selling brands in the retail world from small independent grocers to club stores. The Food Startups specializes in small to medium sized food brands from startups to established ones that want to take their brands to the next level. Primary Focus: Label review for regulatory compliance of FDA food products, product development / Problem solving for sauces and condiments and assistance with Food Safety concerns. We specialize in small and start-up companies. Primary Focus: Food Marketing Specialists, Branding, Packaging & Marketing for Food & Drink. Primary Focus: This company has the understanding and experience to create successful and compliant branding for start-up companies. Food Biz Startup is a virtual learning center designed for the food business entrepreneur and practitioners. FastTrac is a comprehensive entrepreneur­ship-educational program that provides entrepreneurs with business insights, leader­ship skills, and professional networking con­nections so they are prepared to create a new business or expand an existing enter­prise. The nine FastTrac programs include practical, hands-on business development programs and workshops for existing and aspiring entrepreneurs, as well as entrepreneurship curricula for college stu­dents. FastTrac is designed to help entrepre­neurs hone the skills needed to create, man­age, and/or grow successful businesses. The NxLeveL Entrepreneurial Training Programs are practical, hands-on business development courses designed to help entre­preneurs advance their skills in starting, growing, and managing their business. NxLeveL classes are offered throughout the United States through the NxLeveL Training Network®. The NxLeveL Training Network is a group of organizations engaged in entrepreneurial training, the purpose of which is to develop the best training curricula possible and to share best practices among network partners, including effective operational, funding, and management strategies. Primary focus: This resource offers an extensive listing of links that can answer your questions about starting a food processing business. Primary focus: Our mission is to be the number one provider of business planning resources for the serious entrepreneur. Primary focus: Bookeeping, payroll, tax management and business planning. Primary focus: This company handles accounting, manufacturing and distribution software. Primary focus: Sells business listings compiled from nationwide Yellow Pages. Gourmet News rents its extensive listings of specialty food decision makers. Helping clients sell more specialty food, gourmet food and food gifts by catalog and internet marketing is our passion in business. Our clients—exclusively specialty food manufacturers and retailers—hire us to help grow their direct-to-consumer business sensibly and profitably. -save you from expensive trial and error. We are experts in catalog and internet marketing. We know the fundamentals, what works and what doesn’t, and every one of our actions has measurable results. -allow you to focus on what you do best. We stay ahead of current best direct marketing practices so you don’t have to. And we use that expertise to design a custom plan for your business. -save you time. We implement your catalog and internet marketing plan. We reduce your stress and make sure your emails and catalogs are sent to the most responsive customers at the right time. -save you money as we negotiate print contracts, manage your pay-per-click program, get you the best deal on postage, and more. -you will increase sales while minimizing your marketing costs. Primary focus: Online legal documents service for incorporations, LLCs, trademark, patents, and copyrights. Risk Management Consulting and Brokerage Serices. Grant Hatch shares powerful resources to improve your bottom-line performance. Online quotes and coverage for specialty food entrepreneurs serving farmer’s marktes, truck vendors etc. Mikkelsen, Kelly & Kipp Insurance Inc. This insurance agency can sell coverage in Illinois, Indiana, Minnesota, Wisconsin, Michigan, California, Idaho, Arizona, Oklahoma, Connecticut, and Washington. Primary focus: EMSL is a full-service food and consumer products analytical laboratory offering services by trained microbiologists, chemists and material scientists. Primary focus: Nutrition analysis and food label compliance. Primary focus: Provides fast, low-cost ser­vices, including food product nutritional analysis, camera-ready nutrition facts panel art, FDA labeling compliance assistance, ingredient statement preparation, trade­mark research, and new specialty food product development and consulting ser­vices. This is a confidential service with more than 50 years’ experience. Contact Larry Imes. ReciPal simplifies the lives of food businesses. Easy nutrition analysis, nutrition fact labels, ingredient lists, recipe costing, and recipe management. All in the cloud and for a reasonable price. Learn how ReciPal can provide you with FDA approved, reliable do-it-yourself nutrition fact labels – and a free trial. ReciPal’s INVENTORY MANAGER is now available! Create production plans for purchasing, automatically adjust inventory after production runs, create batch control logs for the highest quality control standards, production cost reporting, and lot traceability. Contact us to chat more about it. Primary focus: Strasburger and Siegel is just one of many laboratories that offer competitively priced analytical services, including microbiological and microanalytical services, consulting ser­vices (project design, product stability, shelf-life evaluation, thermal process engi­neering, etc. ), and customized product devel­opment services. This company also has an office in Montreal, Quebec. Sell What You Sow! by Eric Gibson is a guide to profitable produce marketing that covers marketing plans, research, crop selection, and selling through farmers’ markets, restaurants, roadside markets, pick-your-own operations, and retail outlets. It is a comprehensive how-to book of high-value produce marketing. This is a pocket guide of tools for continu­ous improvement and effective planning. This company offers UPC barcodes at a lower cost with no annual fees, no disclosure of federal tax ID, and no release of annual sales figures. It provides barcode graphics at no charge. Please note: If you plan to sell to The Kroger Company and/or Wal-Mart, you must obtain your barcodes from GS1. This freight broker has a commitment of excellence, individual dignity and service. Primary Focus:B-line is an urban consolidation and distribution center serving regional producers and local vendors. We make it easier for you to scale your business through managed à la carte services. B-Line is the missing link in the infrastructure of a sustainable city. Solving the challenge of the “last mile” of a distribution network, B-Line delivers on the promise that business can be a catalyst for social and environmental change. With over 60 centers nationwide, the Women’s Business Centers program provides long-term training, counseling, networking, and mentoring to all types of potential and existing women entrepreneurs. CED provides educational courses, network­ing opportunities, mentoring, and capital formation resources for new and existing entrepreneurs. Count Me In for Women’s Economic Independence is a national nonprofit organi­zation that raises money from women to be lent to women. Count Me In is a lending and learning organization dedicated to strengthening women’s position in the econ­omy. The concept is straightforward: mil­lions of women across America will be asked—and inspired—to contribute a mini­mum of $5 to Count Me In to create a national loan fund for women. The money is redistributed to qualifying women in the form of small business loans ranging from $500 to $10,000 and scholarships for business training and technical assistance. Annual dues: $75 to $125, depending on chapter location. Membership: 80,000. NAWBO is a lobbying organization aimed at promoting policies that encourage female entrepreneurship. NAWBO also established the National Foundation for Women Business Owners (NFWBO), a nonprofit research foundation. NFWBO publishes a wide range of research studies and reports on statistical trends among women-owned firms. Its Compendium of National Statistics on Women-Owned Businesses in the U.S. brings together all the publicly available statistical information on women-owned businesses. Annual dues: $35 ($32 for retired entrepreneurs). The ABWA’s primary focus is to promote entrepreneurial ventures by women. It offers member discounts ranging from car rentals and office products to long distance phone services. The ABWA also provides education and skill-building services to assist members just starting out. Annual dues: $55 for new members, $49 for renewals Members: 2,000+. The National Women’s Business Council (NWBC) is a bipartisan federal advisory council created to serve as an independent source of advice and policy recommendations to the President, Congress, and the U.S. Small Business Administration on economic issues of importance to women business owners. The Council’s mission is to promote bold initiatives, policies, and programs designed to support women’s business enterprises at all stages of development in the public and private sector marketplaces—from start-up to success to significance. Primary focus: Providing a direct link between corporate America and minority-owned businesses is the primary objective of the National Minority Supplier Development Council, one of the country’s leading business membership organizations. It was chartered in 1972 to provide increased procurement and business opportunities for minority businesses of all sizes. The NMSDC Network includes a National Office in New York and 39 regional councils across the country. There are 3,500 corporate members throughout the network, including most of America’s largest publicly owned, privately owned, and foreign-owned companies, as well as universities, hospitals, and other buying institutions. They certify and match more than 15,000 minority-owned businesses (Asian, Black, Hispanic, and Native American) with member corporations that want to purchase goods and services. NWBOC was established in 1995 to increase competition for corporate and government contracts through implementation of a pioneering economic development strategy for women business owners. NWBOC is a national 501(c)(3) not-for-profit corporation and is the first third-party, national certifier providing “Woman Business Enterprise” (WBE) Certification for women-owned businesses. The certification ensures that a private, for-profit company is truly owned and controlled by a woman or women. The Women’s Business Enterprise National Council (WBENC), founded in 1997, is the largest third-party certifier of businesses owned, controlled, and operated by women in the United States. WBENC, a national 501(c)(3) non-profit, partners with 14 Regional Partner Organizations to provide its world class standard of certification to women-owned businesses throughout the country. Outside of the United States, certification is provided by our alliance partner, WEConnect International. Annual Dues: $39.95. Membership: 6,000+. One of the largest groups for women home-based business owners. MHBN provides information, ideas, and inspiration to moms who choose to work at home. Publishes two newsletters, Home Working Mothers (annual) and Kids and Career (twice a year). MHBN provides literature on how to juggle your time between raising children and running a successful business as well as a “fraud detector” for evaluating home business opportunities. © Copyright 2018 Specialty Food Resource. All rights reserved.